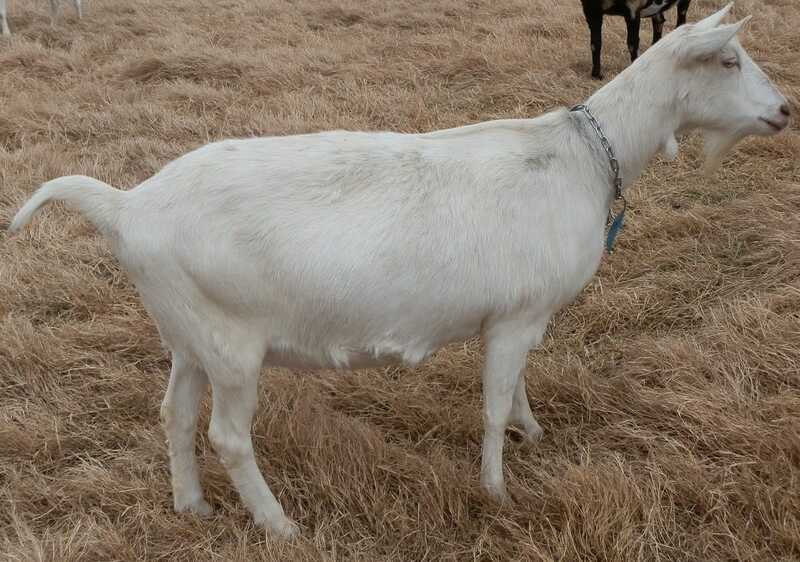 Charisma is extremely long bodied, level and has a beautiful Saanen head. She has a well attached mammary and is a good milker, plus she has wattles. Charisma freshened with twins in March 2017 and has been milking very well, peaking at almost 12 lbs per day.